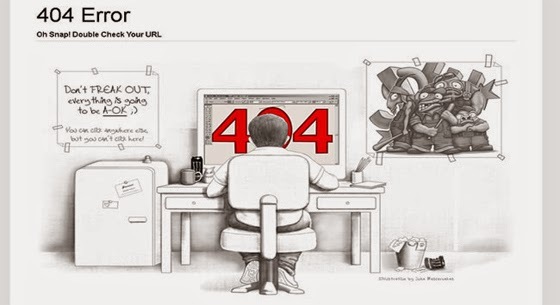 When you visit a broken link on your blog or a link that isn't a part of your blog there is an 404 error or bad error. When a visitor reach that page he isn't redirected to your home page so your traffic flow is affected. Adding custom redirects to your blog helps you to maintain the flow of your blog traffic in a right way. (1). Sign-in to your account and open your blog. (2). Now go to Settings ---> Search preferences and find Custom page not found option. (3). If you have not touched it once then there should be written no items, now click Edit and follow step 4.
location.href= "link of the page"
(5). Now customize the code which you pasted, replace write your comments here with the comments which you want to appear on the page e.g Sorry the page you are looking for isn't available, you will be redirected to ABC page(name of the page where you set redirection for example homemap, sitemap page etc). (6). Replace link of the page with the link where you want a visitor to be redirected. (7). Now click save changes and you are done! How to check if the code is working or not? Contact me if you have any problem related to this post. Share this post with others. Tags: How to set custom page not found redirects in your blog, redirection code for blogger, blogger 404 page not found error solution.